A review of the Adventure Force Power Raider, manufactured by Buzz Bee Toys Inc., is now posted on iSoaker.com. In short, the Power Raider is a separate pressure chamber air-pressure water blaster that sports a 3-option nozzle selector and detachable red-dot scope. Stream power is decent, but shot times are short due to the small size of the pressure chamber. Head over to iSoaker.com is you’re interested in learning more about the Adventure Force Power Raider. The Adventure Force: Power Raider is a private label water blaster made by Buzz Bee Toys Inc. for Walmart’s Adventure Force brand. The Power Raider is a separate air-pressure chamber water blaster that features a removable “red-dot” scope. While the Power Raider’s pressure chamber is on the small-side, that also means it can be pressurized quickly. Streams are decent, albeit brief as well. More information on the Adventure Force: Power Raider as more testing is completed. 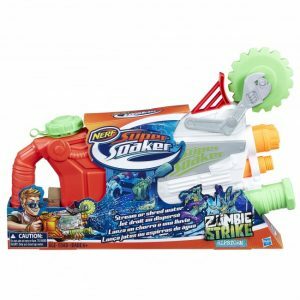 Found pictures of the upcoming 2018 Nerf Super Soaker Zombie Strike Ripstorm from this website. This design reminds me of the Super Soaker Hydro Blade (2004). 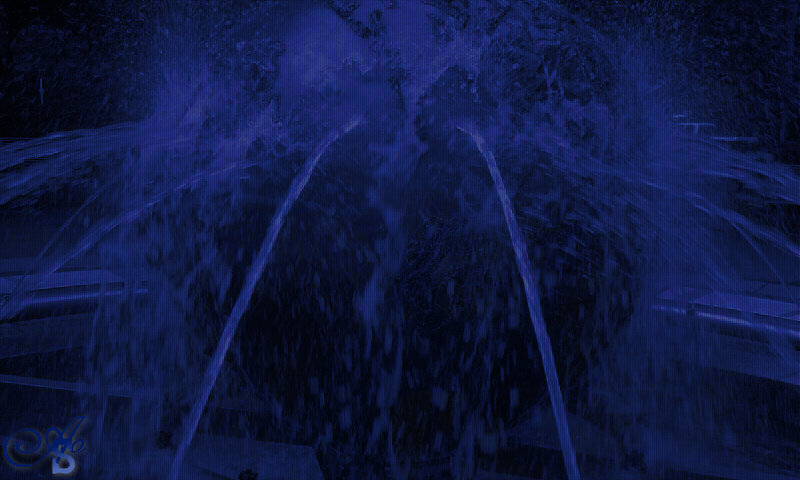 However, unlike the Hydro Blade, I do not believe that the Ripstorm is a pressurized water blaster. 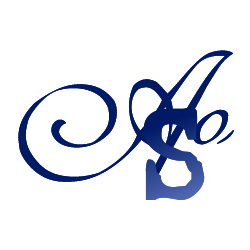 How well it functions in stream or “shred” mode remains to be seen. Update: Just realized the Nerf Super Soaker Zombie Strike Ripstorm is already available for sale on Amazon.com. Though it may be awhile (and a little impractical) to try to load this stuff into a water blaster, scientists seem to have determined a new state for ice. Granted, they used some lasers and diamonds to compress water ice VII even more. To think steel melts at ~1,650K and here we are talking about water, but under some serious pressure. Granted, with that heat and pressure, not sure one would want to be hit by it. Well, recently acquired a Nerf Super Soaker Soakzooka. Here, we reveal a possible image of a prototype NextGen Nerf Super Soaker. Based on the popularity of the 2018 Nerf Super Soaker Splashmouth water gun model, Hasbro may be developing a new series under the “CPS” moniker. 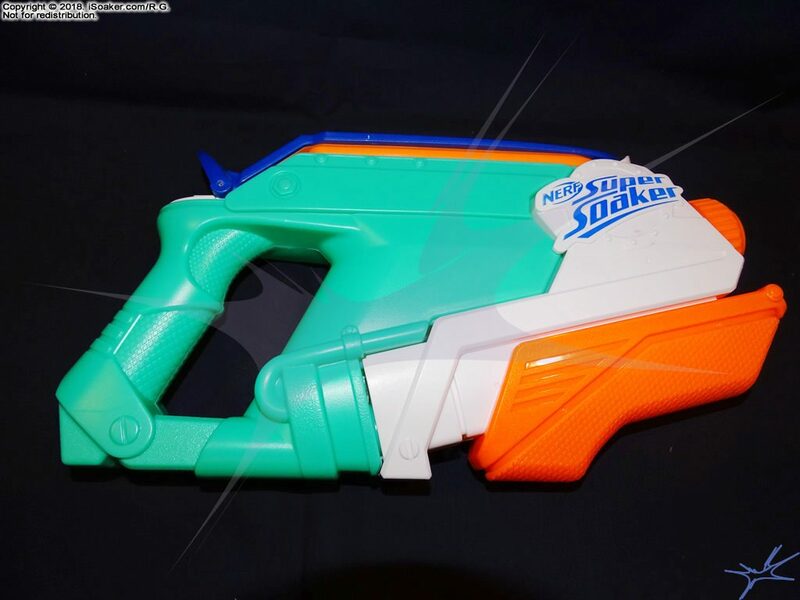 I can’t say I’ve done much testing on this water blaster beyond loading it and pumping it a handful of times, but I suppose the most surprising thing about the Nerf Super Soaker Splashmouth is that they (Hasbro) would even think this would be a good idea in the first place! Just when I thought a pump-action water blaster couldn’t get worse. 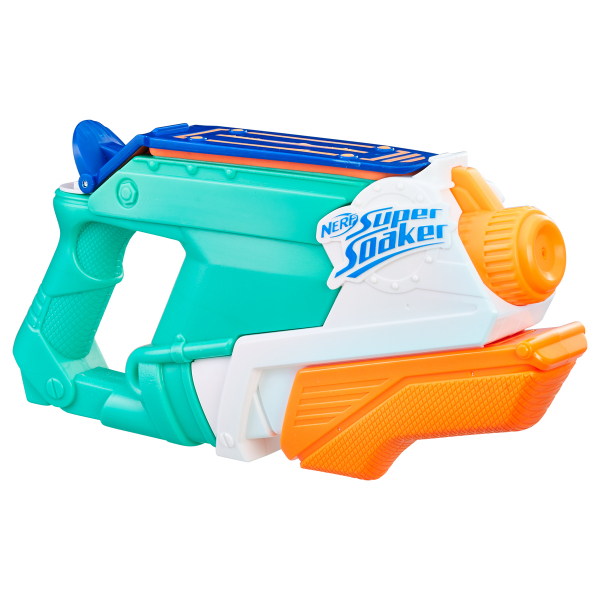 The pump, itself, actually seems to function decently for a pump-action blaster, but the large top cap does not seal tightly (no surprise) and the “splash” attack has limited range (a bucket would be better) and does a great job at disarming the user as well. I believe the three words sum up the Nerf Super Soaker Splashmouth best are: What. The. Heck? Stats to be measured, but I’m not particularly inspired by this water blaster. iSoak’D 162: Santa (2017) – Epilogue posted on iSoaker.com. Enjoy and Happy Holidays! 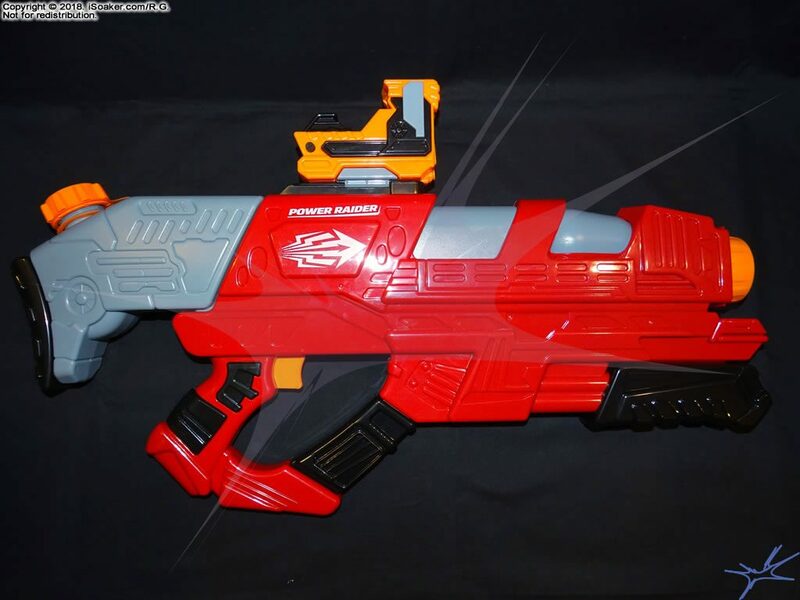 A clearer image of the upcoming 2018 Nerf Super Soaker Twin Tide was found on this website. As expected, the Twin Tide appears to be a standard pump-action water blaster featuring over-under dual nozzle configuration. 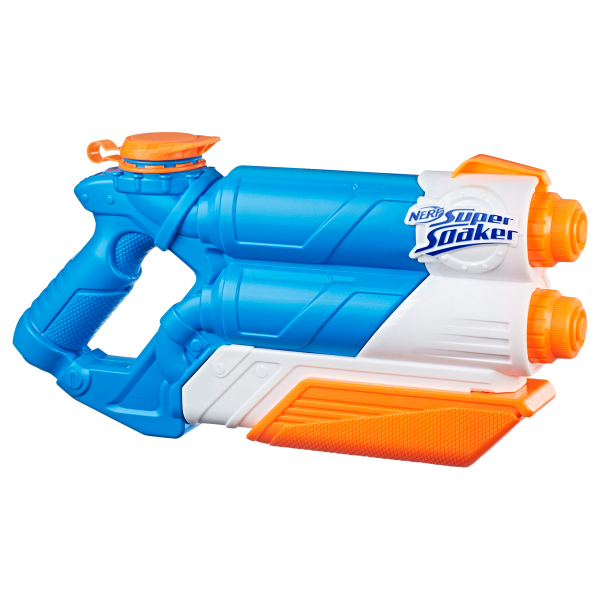 The newer Nerf Super Soaker models seem to be using their handle/trip regions as part of their reservoir and can do so easily since they have no trigger or other more complex internals in that region of the blaster’s body. As both nozzles are powered by the same pump, taking its apparent size into consideration, either the nozzles will be slightly smaller than usual in order to maintain functional stream range. Time and testing will tell. More information to be posted as it becomes available. 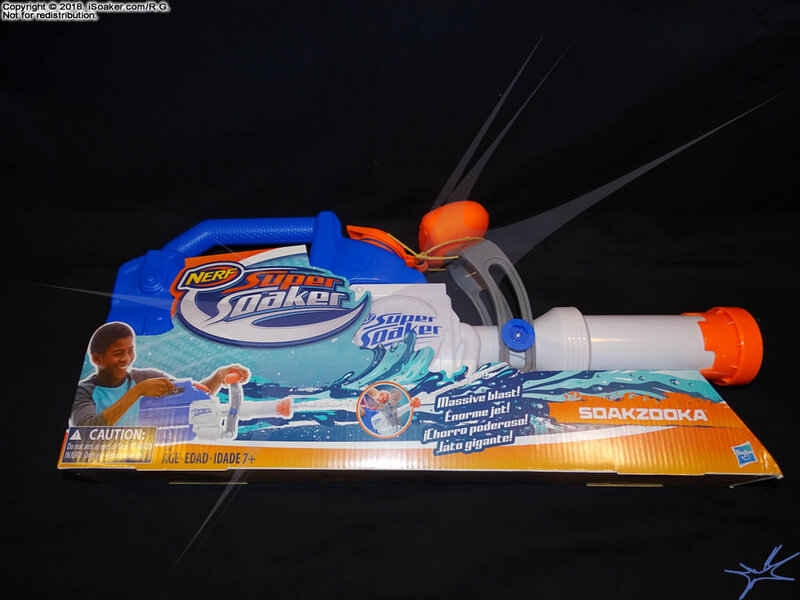 Recent found this clearer picture of the upcoming 2018 Nerf Super Soaker SplashMouth on this website. From this image and the previous illustration seen, the novelty of this pump-action water blaster is the fact that its reservoir has a top panel that can be opened (by depressing that tab at the back), allowing one to “splash” out its reservoir contents. I really cannot comment on whether this would be a particularly effective water attack unless at really close-range. More info on this water blaster will be posted as it becomes available.